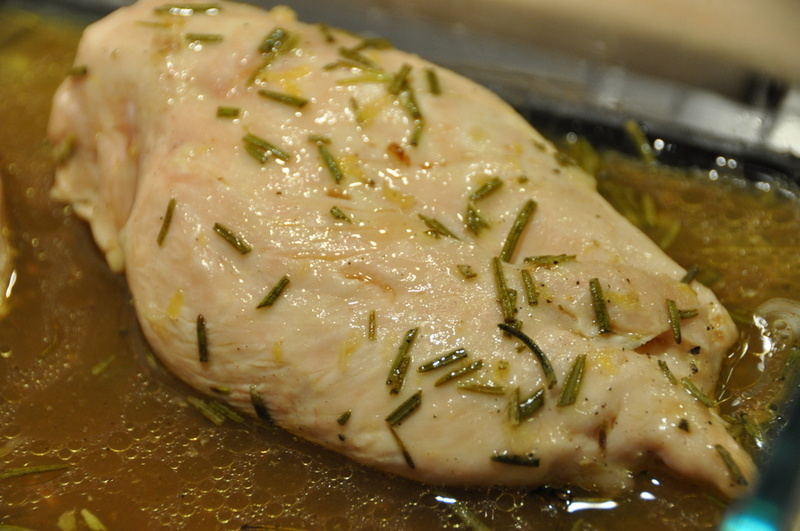 Place chicken breasts in a 13×9 french white baking pan. Mix ingredients in a bowl and either place under the skin or brush over the top of the chicken breasts. Either bake in the oven at 350 degrees for 27-35 minutes or you can grill them on med high for about 6-7 mins per side or until cooked through. Enjoy with your favorite side dish!